i vertici della politica, ma soprattutto i gangli minori dell’amministrazione, quell’articolata massa di magistrati e funzionari che, con incarichi istituzionalmente temporanei, garantivano concretamente la sopravvivenza della polis. Attraverso un approccio multidisciplinare, basato sull’analisi minuziosa dei contesti archeologici e sull’indagine prosopografica sistematica, la ricerca si propone di delineare un identikit sociale dei committenti dei periboli. A dispetto di status economici e sociali disparati, l’assoluta omogeneità ideologica e la condivisione di aspirazioni e modelli comportamentali ci permettono forse di parlare di una ‘borghesia’ ante litteram. di Atene e il Dottorato di Ricerca presso l’Università Orientale di Napoli. È stata assegnista di ricerca presso la cattedra di Storia ed Epigrafia Greca dell’Università di Torino. È autrice di vari contributi concernenti Atene e la presenza ateniese fuori dall’Attica. The broad spread of family tombs is a phenomenon peculiar to Classical Attica. It began in the second half of the fifth century and lasted until the end of the following century. It thus coincides with the golden age of Athenian democracy. In the so-called "funerary periboloi", the polites displayed, within the microcosm of his oikos, the correct functioning of the basic mechanisms on which the polis was founded. 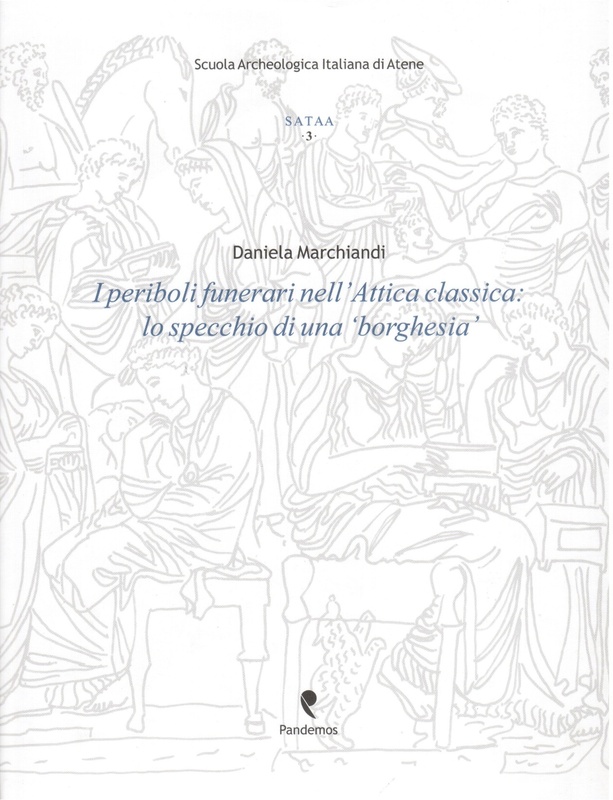 Hierarchy, differences in role, and solidarity are the informing principles of the iconography of semata, inscriptions, tomb arrangement, and grave-good selection. Together these form a symbolic code that was shared by the community as a whole. This form of communication, far from being arbitrary, reflects a biographic reality. The author's investigation of the activities of tomb owners indicates that they formed a heterogeneous group which, while it sometimes included political leaders of the community, mainly provided the lower nodes of the administration, a complex organization of temporarily appointed magistrates and officials who concretely guaranteed the survival of the polis. The author employs a multidisciplinary approach, based on a detailed analysis of archaeological contexts and a systematic prosopographical investigation, to come up with a social identikit of the individuals who commissioned the periboloi. Despite their diversity in wealth and social status, their absolute ideological homogeneity and their sharing of aspirations and behavioral models possibly entitle us to regard them as an "urban middle class" ante litteram.